Over 3 million students will apply to colleges alongside you. The Ivy League Schools alone will review nearly 200,000 applications. Your essay will get 3 minutes. This book will show you how to write a much better essay than you can today. A high school junior or senior applying soon to colleges. learn a seven step program to organize and construct your personal statements. 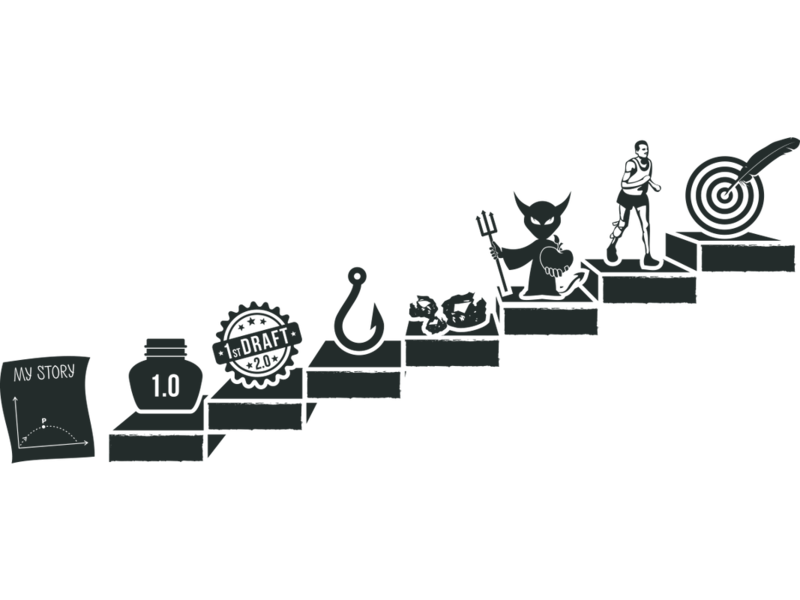 see how you should create your story arc. encounter the seven deadly stylistic sins to avoid. review real college essays going from first drafts to final, polished statements. learn the three things colleges really want. find out what is the only thing that matters. It picks apart real essays to show you exact do’s and don'ts. Among the many samples, you will find instances similar to your own style. Reading their critiques will be like having your writing analyzed and improved by a college coach. It shows you several before-and-after’s, NOT just the after’s. It takes you from raw first drafts (good ones and bad ones), through analysis of the writings, to final, polished essays. You learn from other people’s mistakes – less painful than learning from yours. You must be a great writer to write a great college essay. Without exceptional grades you are doomed. You need a well-rounded extracurricular resume to even be considered at great colleges. -I applied to and was accepted at Princeton, MIT (twice), Stanford (twice), Yale, Cornell, Dartmouth, Brown, and Carnegie Mellon. Yes, I had good grades but so did many, many others who did not get into these colleges. The difference was how I presented my story in my essays. I wrote this book for you: to help you tell your story. Praise for "College Application Hacked: The College Essay"
“Congratulations to Umair Khan on the publication of College Application Hacked! The advice on writing style is pithy and equally applicable to other forms of high-risk correspondence." "A practical, informative, easily accessible, and often amusing guide to the process of writing a successful college essay. Writing that essay still won't be a cinch... but it just got a whole lot easier."